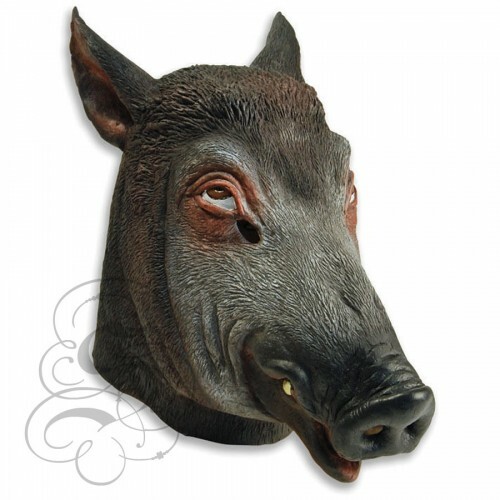 Latex Wild Boar Mask Animal Overhead Party Mask. This is a mask of a Wild Boar. Latex African Elephant MaskThis full head latex mask is one from our animal mask range, this 100% la..
Latex Border Collie Dog MaskThis full head latex mask is one from our animal mask range, this 100% l..